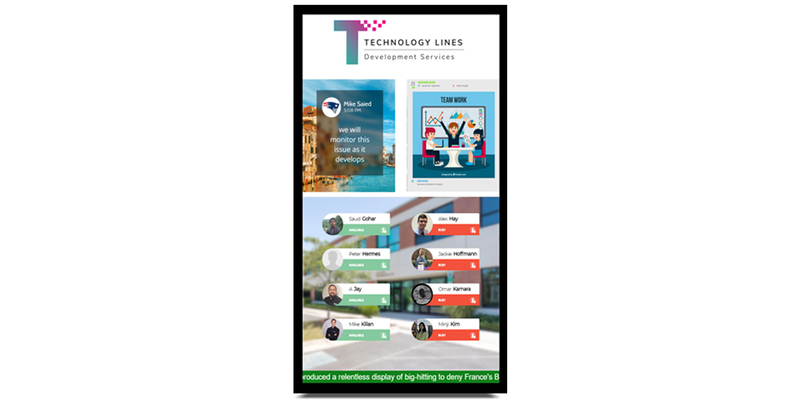 Mvix, a leading provider of content-rich digital signage software and solutions, launched two new content integrations for their Employee Communication Displays — Slack and In-Out Board. Adding the automated In-Out Board to the displays makes staff tracking easy. It syncs easily with employee calendars to display their status — available, busy or out. The board also includes touchscreen capability, allowing employees to easily sign in and out of the office as they come and go. Slack also improves employee communication. Displaying Slack channels on employee communication screens enables managers to quickly and easily communicate with large teams. The displays enable businesses to achieve increased productivity, improved communication, better staff accountability and increased security measures. Check out this video to see how the In-Out Board works. For a free demo, please contact Mvix at 703.382.1739 or visit www.mvixdigitalsignage.com.